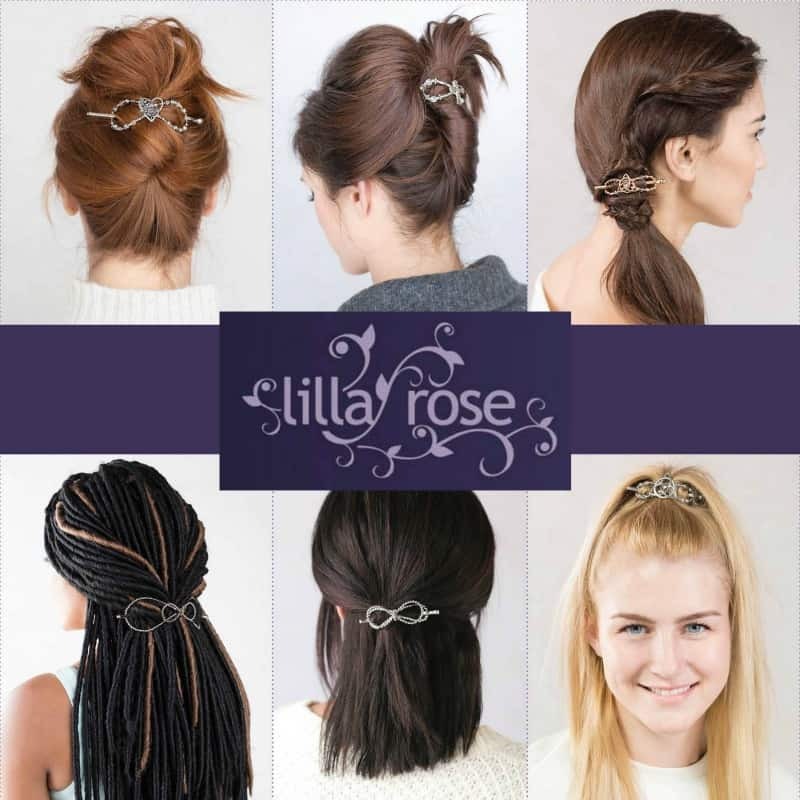 Lilla Rose offers beautiful hair accessories for every hair type. From thick and curly to fine and straight, their FlexiClips, Bobbies, U-Pins, and more will help you tame your locks in style. I have been a huge fan of Lilla Rose for years. Growing up on the beach I never really learn how to “fix” my hair – it was always either up on a ponytail or down flying in wild beach waves. As I have gotten older and my hair has gotten much longer and thicker, I have struggled with even learning how to fix certain hair styles – and often get frustrated and just give up. Lilla Rose offers all kinds of hair accessories that allow even the least skilled hair person (like me!) to be able to create gorgeous styles and add just the right amount of sparkle. Independent Lilla Rose Consultant Kathleen Coffee sent in the Katie Headband for me to feature in this years Gift Guide. 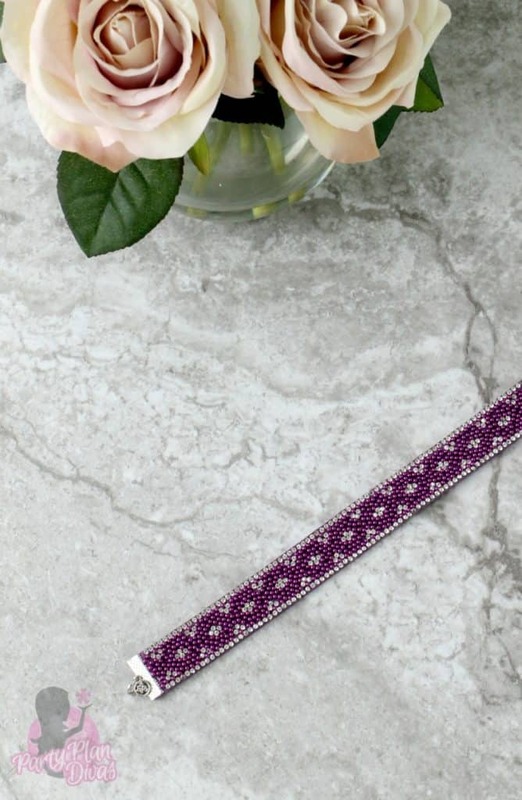 The Lilla Rose Katie Headband is a bright purple hairband that is perfect for spring and has crystal accents for an extra touch of sparkle. 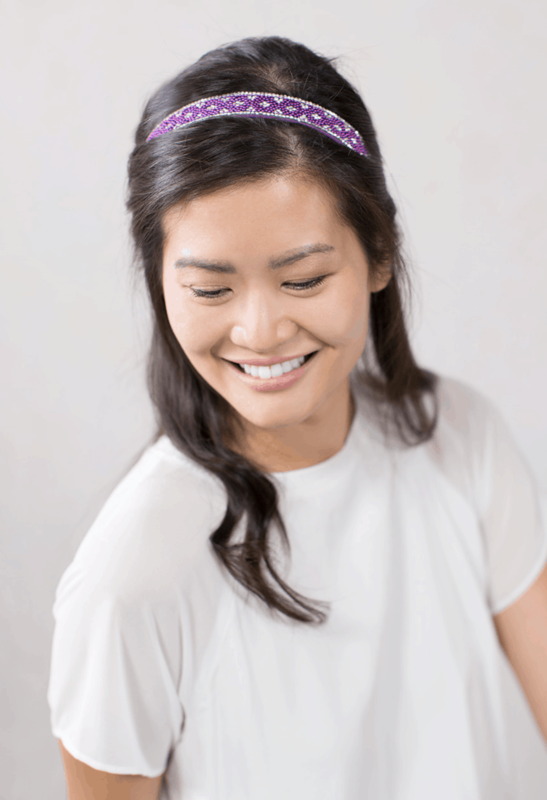 Lilla Rose head bands are so comfortable – not like the old school headbands that would give you a headache after just a short time of wearing them! Each one comes with your choice of elastic in Black, Blonde, Brunette, or Silver, and two options for length so you can wear your headband as tight or as loose as you want. Pictures do not do justice to how pretty this sparkly headband is. It is the perfect addition to your spring and summer wardrobe. Lilla Rose offers an extensive amount of hair accessories for all hair types. You can shop directly from Independent Lilla Rose Consultant Kathleen Coffee’s website, or host a party to earn free and discounted products by sharing with your family and friends. If you are looking for even more, consider joining Kathleen’s team and building a business with this unique product and generous compensation plan. 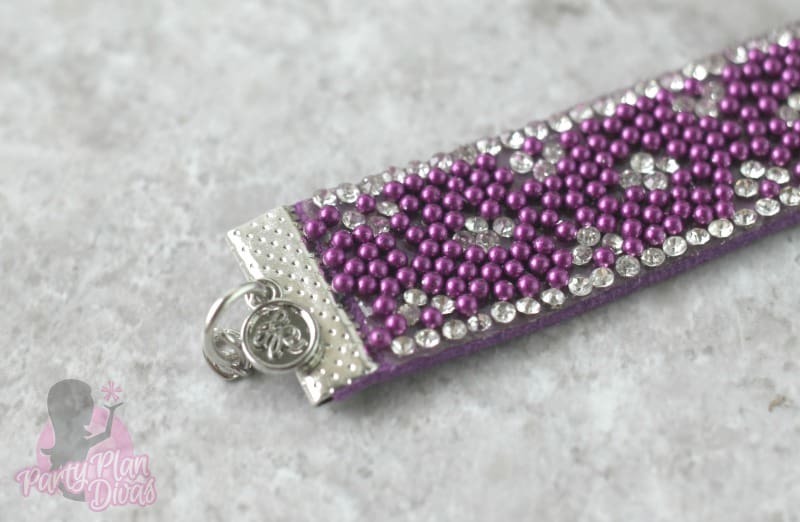 Check out Kathleen’s website to learn all about how you can get involved with Lilla Rose. 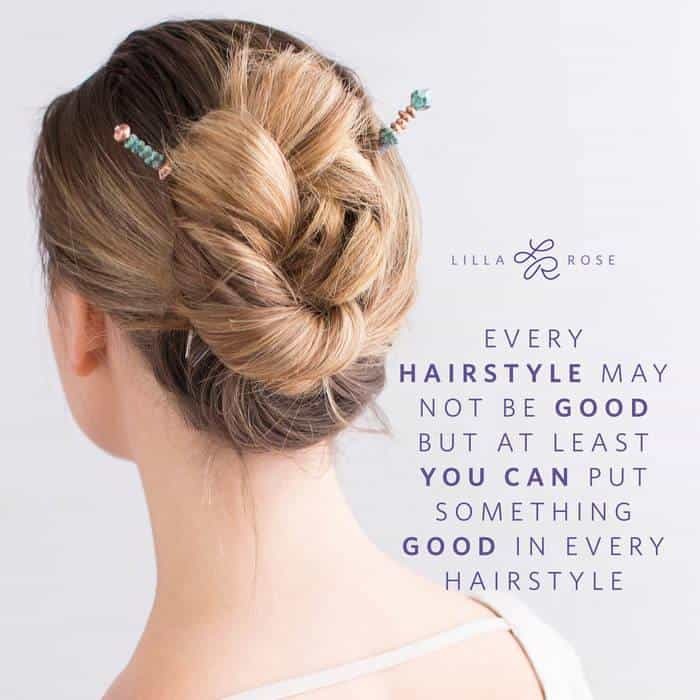 I am excited to offer one of my readers your very own Lilla Rose Katie Hairband from Independent Lilla Rose Consultant Kathleen Coffee! You can enter using the RaffleCopter widget below! Good luck!